Home/Uncategorized/Windows 10 IoT Core for i.MX6 – a relevant announcement? When Microsoft announced Windows 10 IoT as the Windows 10 embodiment of its line of embedded-customisable versions, there were three versions – Core, Mobile and Enterprise. 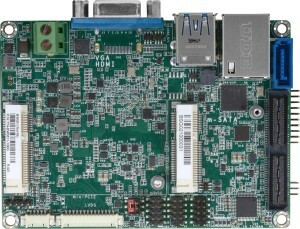 Forgetting about Mobile, which is not available to embedded projecst, the Enterprise version was to be rolled out for x86 hardware, and Core was lacking the Windows shell, and mainly aimed at ARM. While Windows 10 IoT Enterprise has succeeded in increasing the accessibility of Windows 10 to embedded projects by offering lower pricing, LTSB support, and configurability, Windows 10 IoT Core has always been limited to “maker” platforms. The consensus has been that Microsoft has been hesitant to enable industrial adoption of what would necessarily be a free or very-low-cost licence in case it substituted for paid-for Windows licences, reducing revenues for little perceived gain. The background here was Microsoft’s Windows CE, which while reasonably widely adopted, never amounted to a significant revenue stream. By failing to offer IoT Core on industrial targets, Microsoft was considered by many to have opted to let the CE customers go, and cede the edge/gateway/embedded OS opportunity to Linux. Windows 10 IoT Core on i.MX6 – a change of heart? 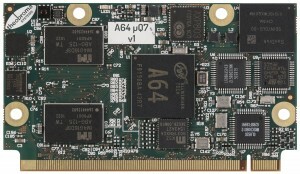 Then a few weeks ago it was announced that Windows 10 IoT Core would run on i.MX6 – the #1 embedded ARM target processor – after all. This is not only Microsoft permitting support, as it did in the final versions of Windows CE, but actively creating and facilitating board-level BSP creation. This will not be for everyone, but for developers wishing to implement Windows on energy-efficient, lighter-weight or battery-powered devices it’s good news. Why would you want to use Windows? You might have a .NET/UWP application to deploy, a Windows CE legacy project, or you just might like Windows (it happens), and the comparatively easy availability of skilled application developers. Watch this space for announcement of production-ready BSPs, training courses, and other resources.